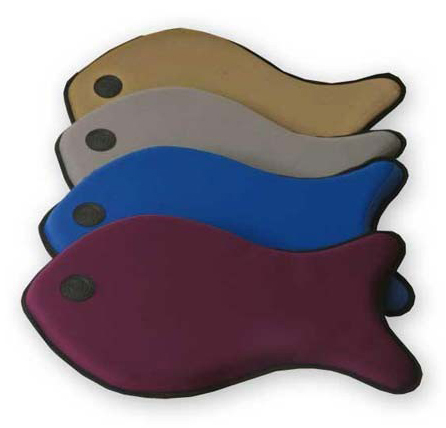 K&H Pet Products Fish Neo Sleeper: Tan, 15" x 26" x 2"
* This fun bed is available in one size and 4 stylish colors to match any decor. * The body of the bed is filled with supreme memory foam. * The neoprene is backed with a rubber layer that gently sinks with comfort. * The bottom of the bed features our "stay put" non-slip fabric.